Whether you are organizing a retreat, strategic planning, board of directors or department meeting, the Vermont Convention Bureau team can help you find the ideal site to fit your needs. 1. Sense of Place. Vermont has a sense of place that your attendees will appreciate. You can explore quaint Vermont country Inns or beautiful luxury resorts and all options in between. Mountain and lake settings, small walk-able villages, recreation just outside your door, attractions for touring and off site events, everything you need is here. 2. Distraction free. Or as close to distraction free as you can get. In today's world of technology, Vermont adds that level of calm and centering that you can't find in a major city. If you need your participants all on the same page or to re-energize your board and plan for the future, Vermont fits the bill. 3. Distinctive Surroundings. In Vermont, it is easy to take advantage of your beautiful setting. With a number of independent hotels and resorts you can plan out of the box options for your program that may not exist elsewhere. Traditional meeting spaces are always available, as are comfortable spaces like great rooms and libraries, which work well for informal break outs and networking. Take your afternoon break outside, and if you can designate some time for a quick yoga session or a short hike, your attendees will thank you. 4. Food. There are so many fun options in Vermont when it comes to planning menus. In the spring, summer and fall many of our resorts provide a high portion of their own produce, taking farm to table to a new level. The chef's often personally know the farmers that supply their other products insuring the freshest deliveries. The craft beverage scene, whether beer, distillery or even wine is extraordinary. Customizing menus is easy to do to create the unexpected for your group. 5. Travel. With close proximity to major cities such as New York, Boston, Montreal and other Northeast destinations, Vermont is easy to get to by car, air and rail. More on traveling to Vermont can be found here. 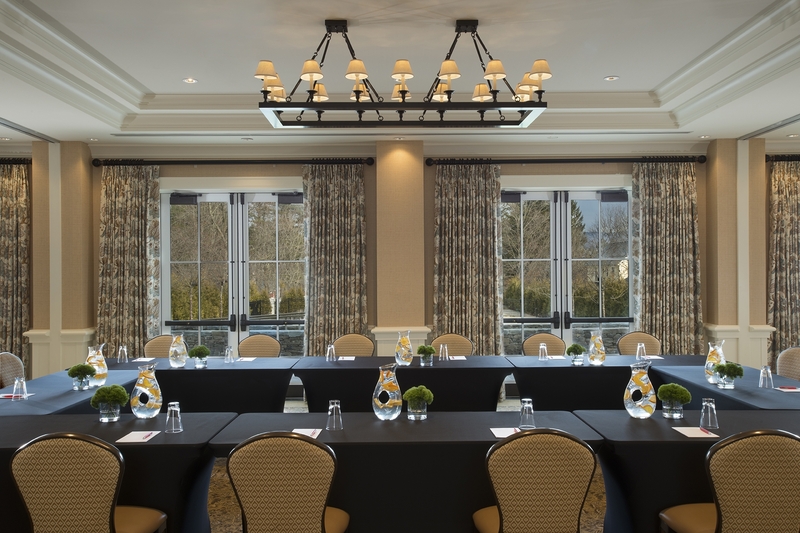 We look forward to assisting you as begin planning your next meeting. Contact us today to get started.